Main food supplied is Royal Canin Dog Biscuits, we also give a small amout of quality dog roll which is mixed with the dog biscuits for the evening meal. Dogs are fed twice a day. Our aim at Petite Paws is for all precious pups to be comfortable, happy and enjoy their stay with us regardless of their age and personality, from young to old - shy to full on! Owners can relax knowing their dogs are being well cared for in a home away from home atmosphere. A full day is charged on day of arrival, whether your dog arrives morning or afternoon. It is more beneficial for your dog to arrive in the morning, if possible. 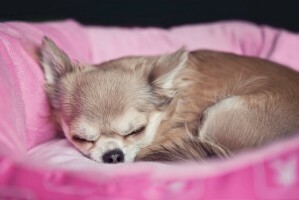 New dogs must start their first stay at Petite Paws in the morning, as this gives them time to familiarize themselves with their new surroundings before bedtime. Dogs have a rest period from 12.00pm - 3.30pm. Please do not arrive early outside of our opening hours as this will disturb the sleeping beauties! There is no day charge for morning of departure as long as your dog is picked up by 11.00am, If not you will be charged for that day and will need to pick up your dog in the afternoon opening hours. Exceptions to these hours may be available for flights etc. with prior arrangements. PLEASE DO NOT call in early between our opening hours as dogs have a rest period from 12.00pm - 3.30pm.